Rayvon Owen bounds into the green room backstage at Altria Theatre during rehearsals for SPARC’s Live Art: Love show, held earlier this summer. Grammy award-winning artist Jason Mraz and the show’s choreographer get swept up in the whirlwind and ask the singer if he’ll join in a tap routine. Caught off-guard by the spontaneous request, Rayvon demonstrates a few steps and gets a thumbs-up from the pair. on a couch for our interview. 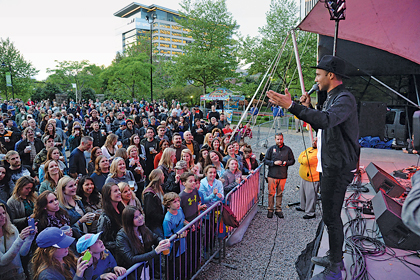 Rayvon was known as the comeback kid during his run on American Idol in 2015. Rayvon was joined in the choir by his sister, Chantel [Fitzgerald], who was four years his senior. The two were typical siblings growing up. “When we were young, we would bicker and pick on each other, but at the end of that, we would kiss and make up,” says Chantel. Family selfies are always fun! 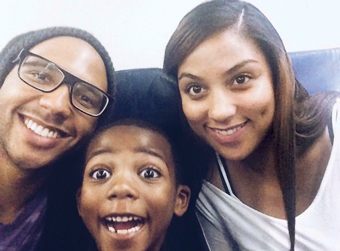 Rayvon, his sister Chantel, and her son CJ. Music was his comfort zone – even during the rocky middle school years. He joined The Richmond Boys Choir in 2003 when he was at L. Douglas Wilder Middle School. 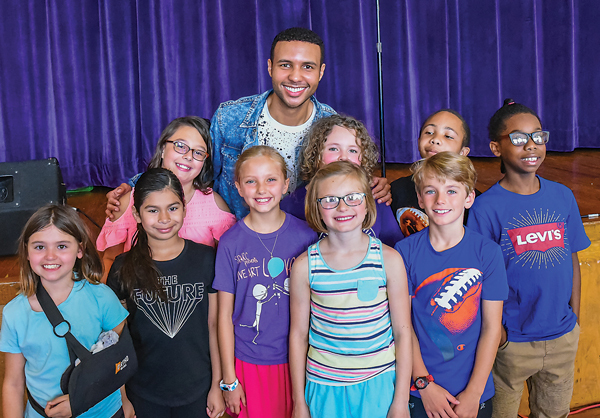 While in Richmond to perform in SPARC’s LIve Art: Love show in June, Rayvon visited Westover Hills Elementary School in the City of Richmond and performed for students and staff. 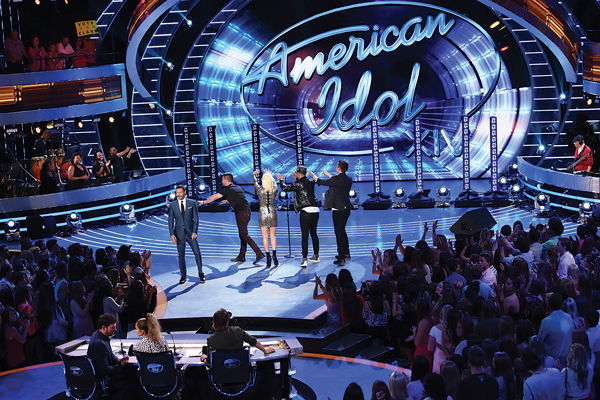 After graduating from Belmont in 2013, he moved to Los Angeles to pursue a career in entertainment and a couple of months later, he landed an audition for American Idol. The family could hear his audition through a partition. “I had goosebumps listening to him sing. His voice was angelic. He came running out the door with the golden ticket. We screamed and yelled. We were so excited for him,” Chantel says. Being on the show was challenging both physically and emotionally. For Rayvon, the fun came with a price. “The schedule was demanding, and I didn’t know how to manage my time,” he says. He was grateful for the support he received from family and fans, but at times, it could become overwhelming with texts, emails, and phone messages being sent anytime of day or night. “I had to turn off my phone in order to sleep,” he says. 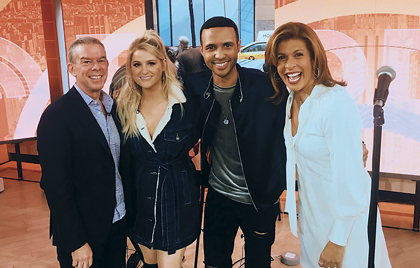 Elvis Duran was familiar with Rayvon from his American Idol run. “I didn’t know it at the time that our paths would intersect down the road,” Duran says. Duran and Rayvon’s publicist, Steven Levine, both love helping the underdog, especially if the artist has an inspiring story like Rayvon. 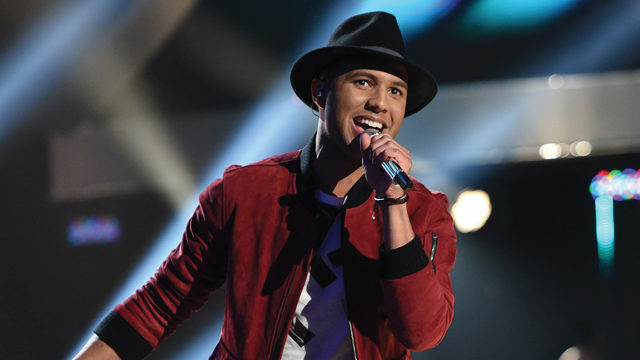 “He is now surrounding himself with people who are more connected and can see the talent we see in him,” Duran says.